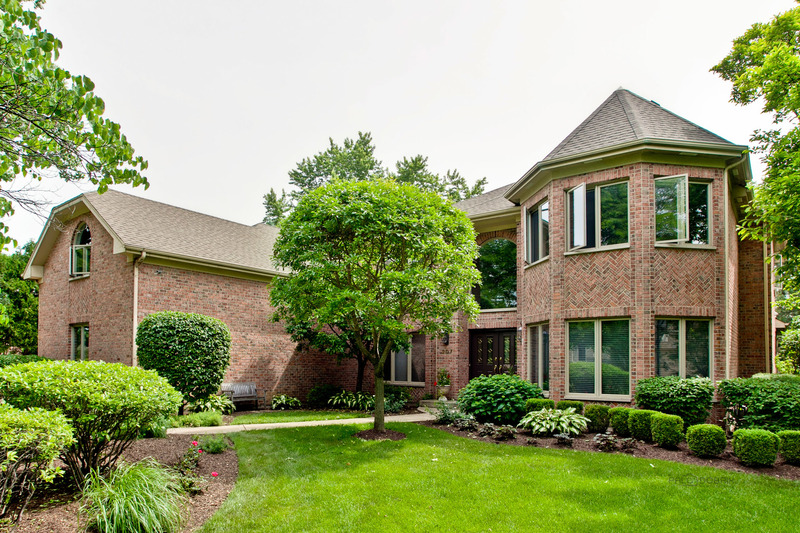 Gorgeous Executive Home in Desirable Scarsdale Estates. All Brick Custom Built home with 5 Bedrooms and 5.5 Baths on a 1/2 acre lot. Welcoming 2 Story Entry leads to the Large Family Room with a Floor to Ceiling Fireplace and tons of windows looking out on the spacious professionally landscaped yard with room for a pool. 1st Fl Master Suite with an extra large walk in closet and 4 additional bedrooms each attached to a bathroom upstairs. Don't miss the bonus family room on the upper level makes a great kid or teen space. The kitchen has Dacor and Subzero appliances and opens to the a 4 season sun room. The basement is loaded with fun, workout room, TV space with fireplace, wet bar, game table area and a pool table, don't forget an additional full bathroom and tons of storage! A build of this quality would cost significantly more to build today. Hurry, this one will not last!